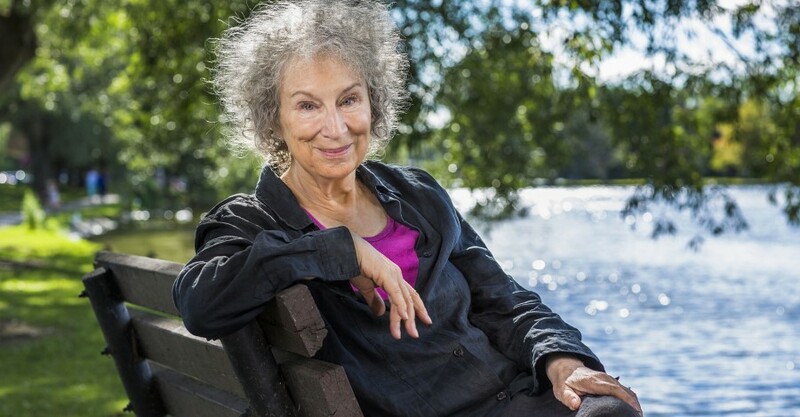 TORONTO, July 18, 2018—The Institute for Canadian Citizenship (ICC) is pleased to announce Margaret Atwood as the 2018 laureate of the Adrienne Clarkson Prize for Global Citizenship. The prize will be presented in Toronto on September 26. Established in 2016, the Adrienne Clarkson Prize for Global Citizenship is awarded annually to a leader whose life work has demonstrated a steadfast commitment to the ideals of belonging and inclusion. Through words, actions, and results, recipients encourage thought, dialogue, approaches, and strategies that strive to remove barriers, change attitudes, and reinforce the principles of tolerance and respect. The first two recipients were His Highness the Aga Khan (2016) and Ai Weiwei (2017). Atwood’s literary works and social activism galvanize people everywhere. Her brilliant writing and dedication to civic participation demonstrate a fearless commitment to the ideals of belonging and citizenship, and to the principles of tolerance and respect. Published in more than 35 countries over five decades, her works have garnered domestic and international acclaim, including the Governor General’s Award for Poetry (The Circle Game), the Governor General’s Award for Fiction (The Handmaid’s Tale), the Giller Prize (Alias Grace) and the Booker Prize (The Blind Assassin). Her writing has been adapted for film and television, and the ongoing web television adaptation of The Handmaid’s Tale is an international cultural phenomenon. Her evocative portrayals of totalitarianism, female identity, and ecological disaster continue to electrify the world. Tickets to 6 Degrees Toronto, including the Adrienne Clarkson Prize for Global Citizenship, are available at here. 6 Degrees drives a global conversation on citizenship and inclusion. Presented by the Institute for Canadian Citizenship, it includes an immersive annual three-day event in Toronto, as well as a series of one-day pop-ups across Canada and around the world. 6 Degrees is about connection, conversation, artistic representation, and the power that comes from bringing people together. It counters rising nativism and exclusion, and instead, invites everyone to find a place in our circle. This year, 6 Degrees Toronto will take place September 24–26 at the Art Gallery of Ontario, the TELUS Centre for Performance and Learning, and the Great Hall. Margaret Atwood is the author of more than 50 books of fiction, poetry and critical essays. Her novels include The Handmaid’s Tale and Alias Grace, both of which were recently serialized for streaming; The Blind Assassin, which won the Booker Prize in 2000; Oryx and Crake, which was nominated for the Giller and Booker prizes; The Year of the Flood; the MaddAddam Trilogy; The Heart Goes Last; and Hag-Seed, a novel revisiting of Shakespeare’s The Tempest. Her most recent collection of poetry is The Door. Her non-fiction works include Survival; Payback: Debt and the Shadow Side of Wealth; and A Writer on Writing. Her most recent graphic series is Angel Catbird. She has served in various capacities with several organizations, including PEN International and BirdLife International. In 2017, she was awarded the Peace Prize of the German Book Trade, the Franz Kafka Prize, and PEN Center USA’s Lifetime Achievement Award. She continues to be surprised by human behaviour, both noble and not. View our ad in The Globe and Mail here.